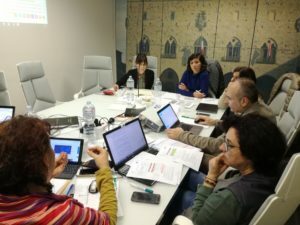 On March 15th and 16th, the partner meeting of ARACNE + project was held in the city of Pistoia, in CSCS. Five partner organisations, from four different countries, each with outstanding experience in socio-labour insertion actions, represent different areas such as cooperatives, non-profit organisations, Public Administration, private business entities and university . training, personal empowerment and promotion of self-employment among women in labour and social exclusion situations. implementation an online learning platform. It was an interesting opportunity to have a first overview .